We want to give event-goers and fans who attend our sponsored events a chance to win the trip of a lifetime. The main prize, through our support of the New Zealand Olympic Committee, is a trip for two to the Tokyo 2020 Games which includes airfares, accommodation and exclusive tickets. * Plus there are loads of chances to win great rewards along the way like event tickets, merchandise, food and beverage vouchers. The Barfoot & Thompson Mobile Site includes a calendar of events we sponsor. The more events you attend and 'check in' the more chances you have to win! “This new initiative supports Barfoot & Thompson's many and varied sponsorships. 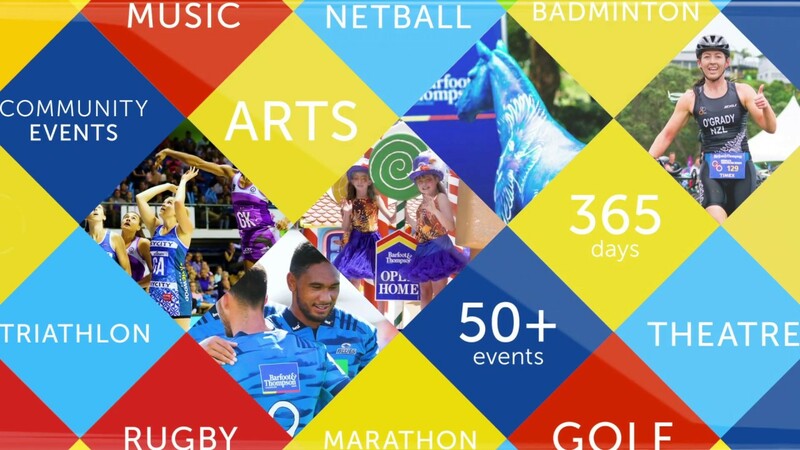 With such a large and diverse sponsorship portfolio across the community, sport, arts and culture, this is a way of showcasing our involvement across Auckland.” Peter Thompson, Managing Director. *Terms & Conditions are held on the mobile site with full details.